You know, there are seasons in life when everything falls into place, and life just flows. It’s kind of easy. Those times for us seem rare. Much more often, life leaves us frazzled and overwhelmed in our circumstances, really not knowing which way to turn or what to do next. 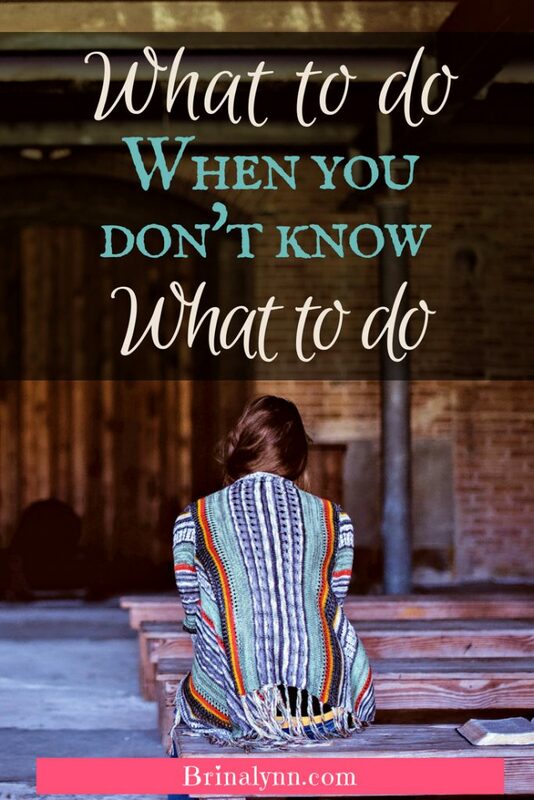 Life Situations that left us not knowing what to do…. When my husband and I were in the midst of the worst storm of our marriage, I had no idea what to do. I felt lost and alone, frantically trying to appear normal. In our homeschool journey, things get hairy and hectic. Often times we get off schedule due to some interruption or other. Sometimes those interruptions come from within our own house in the way of whining and complaining. To tell you that it can be frustrating would be an understatement. So often I’d like to just give up! Our journey to financial freedom began years ago when we first considered me coming home from my full-time teaching job–about 11 years. Eleven years we’ve been on this road that Dave Ramsey calls ‘baby steps’. It hasn’t been easy; in fact, many, many times it was down right hard. It’s still hard because we still have to delay gratification even for things we “need” until we have the funds to take care of the need. When my husband’s job was a nightmare last year, taking him away several times a month, getting calls in the middle of the night constantly, never actually being off of work. He referred to his company phone as his leash. It was so frustrating, and so not right for our family. But we had no answers, no leads. Every door he tried to walk through was slammed shut. We felt stuck and miserable. 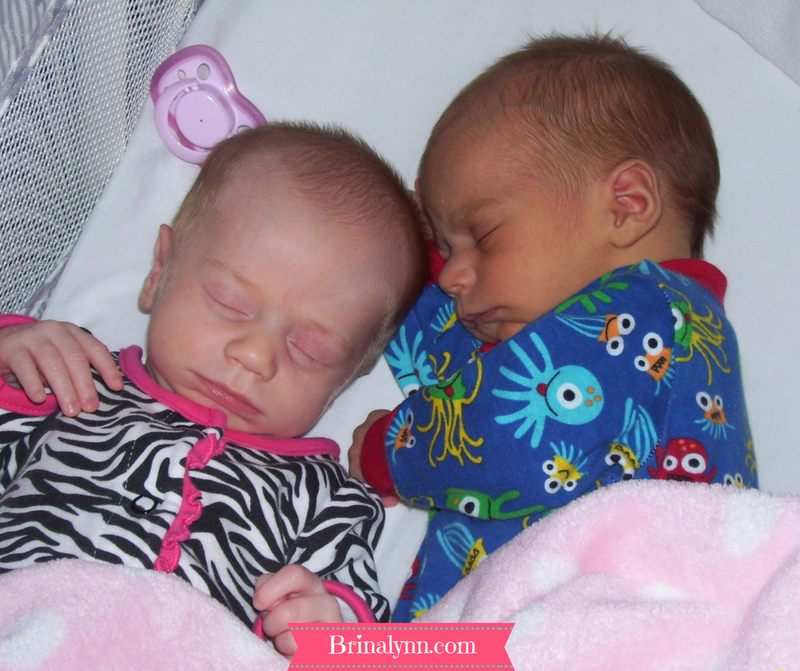 Almost six years ago when our twins were born, we felt–while very thankful and blessed–lost. Nothing can really prepare you for a baby, much less more than one! They didn’t sleep, and they cried a LOT! We found ourselves watching the sun go down knowing that we’d have to endure the long night of little to no sleep…again. The babies that never took a breath this side of heaven…. I wasn’t sure how I could face another day knowing those little hearts would not beat again, and I begged God to breathe life into them. When He took them anyway, I was devastated each time. How was I supposed to carry on with life knowing my babies wouldn’t? In all of these situations we didn’t know what to do. Often we didn’t know which end was up! We could see all that we could do or needed to do, but we didn’t know how to get there. Are you in a similar boat? Is your mind whirling as you try to figure out what to do? Your heart aching to feel peace? In each of these situations, we spent time in the Word and in prayer, but in most of the cases, there was no handwriting on the wall. There was no immediate, “magical” answer that eased the burden right away. So why am I writing all this if there seems to be no answer, no sudden supernatural realization or relief? Stop focusing on all the stuff, and do the thing that comes next, the thing you know you have to do. Worry about the rest later. The Bible tells us that today has enough trouble; let tomorrow take care of itself. Pray. Spend time in the Word. Let the words of our merciful Savior rain over you. You can find peace in Him, even if it’s not immediate. Do what you know to do and keep doing it. Read the Word whether you are comprehending it or not, whether you can even see the page through your tears. Teach the next lesson. Pay the next bill. Prepare for the next feeding. Take the next step–even if it’s just a shower. Do the next thing and let the rest wait. Let your focus not be all that’s wrong, but on Jesus, and take the next step with Him.